Usually training takes place in a Dojo. 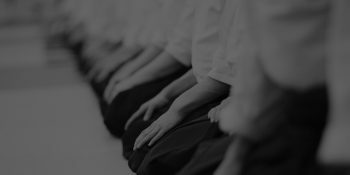 Dojo is a Japanese word that means place of the way or place where we practice the deeper way of things. Simply put – place where we train. 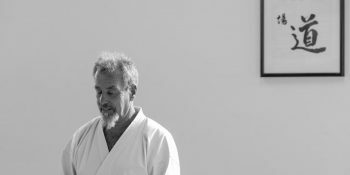 When we enter the Dojo we leave all extraneous thoughts outside and begin to focus on our Deeper Self. We can call this ‘Centring”. Once we bow in for training, we begin the stretches and warm up exercises which are like the flowing method of yoga stretching. This takes about 20 minutes to complete. The practice then extends into solo Ki Energy movements – the purpose is to take the yoga-like meditative state into motion and action. Then partner and group interactions and exercises. 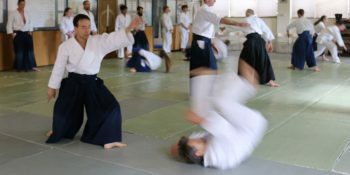 There are basic or beginner classes and advanced classes.